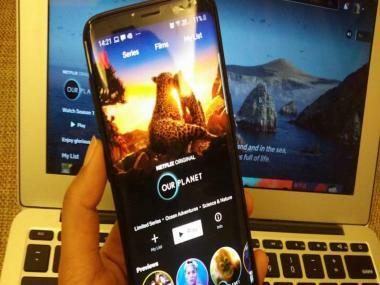 Australian writer-director David Michod, who has previously helmed two features films – the Oscar nominated Animal Kingdom and Rover, was recently in India to talk about his latest feature. 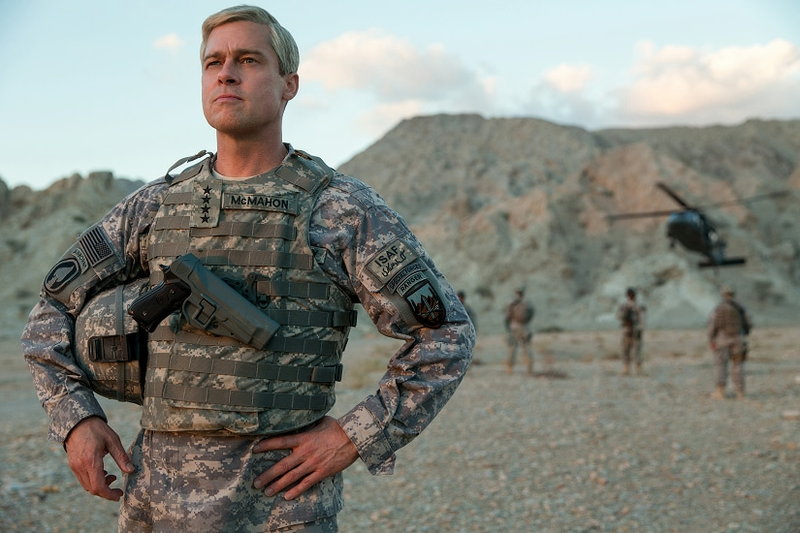 Battle movie War Machine, starring Brad Pitt in the role of a delusional American army general stationed in Afghanistan, premiered on Netflix May 26. Brad Pitt in War Machine. What drew you to the book The Operators and how challenging was it adapting it to film? I had wanted to make a film set in one of these modern day theatres of American war. I am drawn to the experiences of people who voluntarily put themselves in harrowing situations. I was drawn to a story about men in the battlefield and the horror of conflict. But I couldn’t find the story to tell. It felt to me like in cinema the conversation we were having about war was very small. It was almost always only about the experience of troops and no cinema was asking larger questions of the larger machine and the philosophy — if there even is one — behind its functioning. So when Plan B brought me Michael Hastings’ book I could see what I could make. More than a movie about the battlefield, it was also a movie about the machine – a very tonally strange movie about the disconnection of the upper levels of the machine from its ground floor. This is what drew me to it. It was difficult to adapt and the challenge of writing the screenplay was the balancing of the tones. Did you see Brad Pitt as Gen Glen McMahon from the outset? I loved the idea of writing a character of this size for him because some of my favourite performances of his are his comedic ones. He only does them in small, supporting roles and I loved the idea of writing one big, broad character for him to play. I was very struck that the there were only three female characters in ‘War Machine’ out of which two really popped – Meg Tilly as the General’s wife and Tilda Swinton as the German politician. I am never unaware of the fact that my movies are very male. Yes, there were just three women. My girlfriend was in the movie for a little while but then I cut her out – and not because there was anything wrong with her performance. But seriously speaking, while I am drawn to these almost delusional men of these worlds I find myself wanting to know where women fit into these worlds. And how would their presence be felt. Meg and Tilda kind of represent voices of reason in a delusionally self-perpetuating world of men stroking each other’s egos or butting heads like bulls. Meg as the wife is the one who can see beneath his hubris most clearly and it’s almost the first time you start to see cracks in his veneer. And Tilda is basically me, editorialising. There has been this debate raging this year about whether movies made for streaming services should compete with other features films on competitive platforms like Cannes. What are your thoughts on this? What makes a movie a movie is not the screen that it is appears on; it is the form of the content itself. I am drawn to feature films rather than television because there is something about the two-hour form that I just love and I think there is something glorious about sitting in a room with hundreds of people having a shared experience. But there has to be a business model that works and the fact is that bold, interesting movies are struggling to survive in the current distribution and exhibition landscape. My first movies were made for the theatre, but 95% of those who saw my movies saw them at home. Part of the reason movies are struggling is because people’s televisions are so great and it’s possible to have those movies instantly at a fraction of the cost. Movies have very, very small lives on theatre screens. I love going to the movies but I don’t do it very often. At so many levels the internet has just made being at home so much easier. And that’s how I consume movies now too. No, it’s my third actually. When I was studying in Melbourne, I wrote my university honours thesis on Indian politics. I was obsessed with India when I was young and then as soon as I graduated, I came here for a few months and travelled. Then I came back a few years after that and spent a month in Mumbai, and now this visit.